It is common for a business for a client to be required to fill in a form or signed disclaimer before their first consultation or before every consultation. A form may be specific for a service or a common form for everyone. A form can also contain any number your own questions. Forms can be filled out electronically by clients on an iPad or similar device or emailed to them to fill out beforehand. 1. Go to Settings by Clicking on the Welcome menu in the side bar. 2. In the Settings screen under the Forms heading click on Manage Your Forms. 3. Click the button Add a new Form to add your first form in. 4. 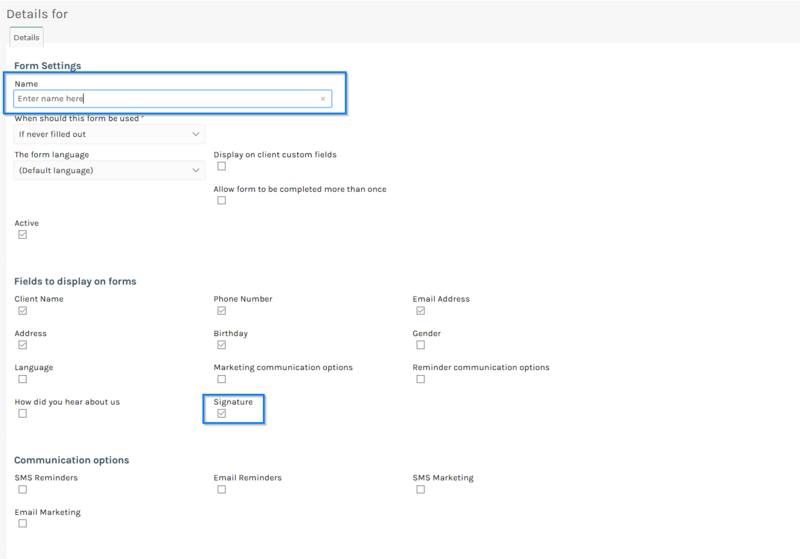 Enter a Name and tick any of the boxes for fields that you want to be included on the form containing client information. You can also optionally write some text that will be displayed at the top of the form, this might be something like a disclaimer. If you have ticked the Signature box the client will be required to sign on screen when submitting the form. 5. 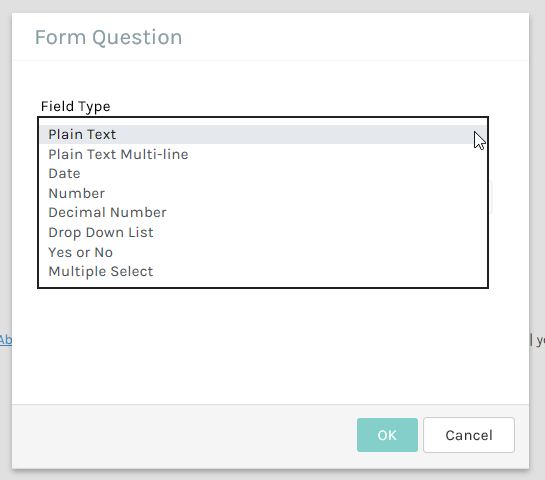 If you want this form to be filled out every time the client visits or only the first time then choose the option in the Form Usage field. Alternatively you can make this a service level form. 7. The Questions tab will now be visible. Here you can add any other questions you want filled out on the form, for example allergies or preferences. - Plain Text. The client will be able to write a free text answer. - Plain Text Multi- Line. The client will be able to write a free text answer over multiple lines. - Date. The client will be able to select a date. - Number. The client will be able to enter a whole number such as 1, 3 or 50. - Decimal Number. The client will be able to enter a decimal number such as 2.6 or 11.87. - Drop Down List. The client will be able to select one answer from a list of answers you enter in the box. - Yes or No. The client will be able to choose yes or no. - Multiple Select. The client will be able to tick any number of the answers you enter in the box. 9. 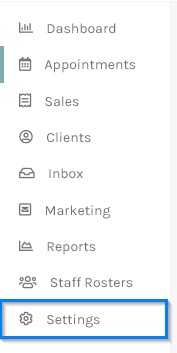 Once you have entered all your questions you can move them up or down to change the order they are displayed to the client. 10. 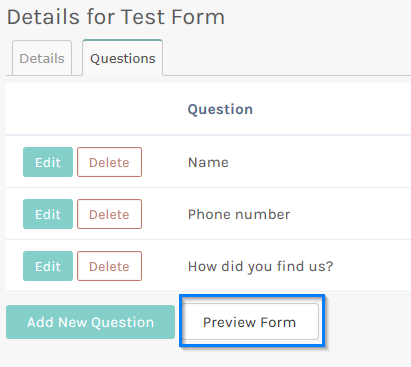 You can preview your form by clicking "Preview Form"
11. You can click the Back To Forms option on the right to add another form if required.